Bartholomew was one the twelve apostles. We don’t know much about him. For the most part he was just listed as one of the twelve in the gospel books, and we hardly hear a peep from him the whole time. The Gospel of John does give Bartholomew a moment to shine, though, under what I suspect was his Greek name: Nathaniel. Jesus identifies Bartholomew immediately – “an Israelite in whom is no deceit.” That’s quite a compliment from someone who often calls out sin for what it is and preaches the universal need for a Savior! Bartholomew’s response is quite in line with these realities, though, affirming Jesus as the Messiah, to which Jesus basically says “you ain’t seen nothing yet!” It’s both a word of assurance and warning, though – assurance because Jesus is confirming Bartholomew’s confession of faith, and warning because Bartholomew’s faith may not yet be properly grounded. But what we know of Bartholomew’s life after the ascension of Christ, there is no doubt as to just how faithful Bartholomew turned out to be. There are a lot of traditional historical accounts of places Bartholomew went; they could all be true, but one can never be sure. One possibility is that he went on an eastern missionary tour, complimentary to Paul’s western journeys, going North to Lycaonia, then East through Mesopotamia to Parthia and finally even to India. He also may have gone South through Egypt or Arabia to Ethiopia. Most reliably of all, we do know that he ended up going Northeast to Armenia. There, along with the Apostle Jude, he is said to have converted King Polymius, eventually making Armenia the world’s first Christian nation! Despite the lack of surviving details, there are a number of things we can learn from Bartholomew’s life and ministry – I’ll briefly explore four here. What I have above briefly related can be matched up with various features from today’s Evening Prayer liturgy. 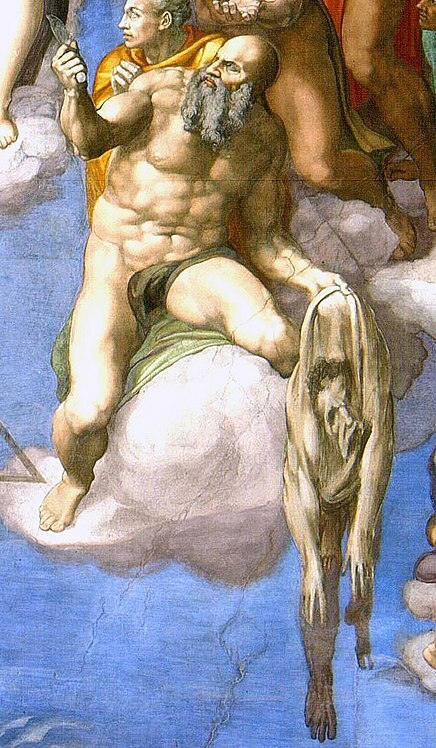 First of all, St. Bartholomew really believed in the Gospel of Jesus Christ. Not just from his confession recorded in John 1, but the activity of his entire life and the circumstances of his death make it clear just how seriously he took Christianity. The Collect of the Day also dwells on this lesson: “Almighty and everlasting God, who gave to your apostle Bartholomew grace truly to believe and to preach your Word: Grant that your Church may love what he believed and preach what he taught.” Indeed, we would do well to take the faith as seriously has he did. Just how we do that, though, plays out in the next three points. Secondly is the fact of Bartholomew’s righteousness. Again we have Jesus’ words in John 1 lauding his character, but we also have the prayer of Psalm 15, a meditation on the sort of holiness required to live in God’s presence. Among the litany of virtues to uphold and vices to abhor is a familiar phrase: “There is no guile upon his tongue; he does no evil to his friend; he does not heap contempt upon his neighbor.” Being able to control one’s mouth is a powerful virtue, enabling one to have much more self-control in various other ways, as James points out. So when Jesus lauds Bartholomew’s restraint of mouth, it probably reflects well on many other aspects of his character. Especially now as Christians, ought we seek such holiness in our own lives! Thirdly there’s the ministry of witness that St. Bartholomew undertook. Isaiah 66 foretells the day when Gentile nations will come to the Lord, and Psalm 67 prays for this day as well. No matter which accounts of his life are accurate, we know that Bartholomew traveled far and wide to preach the Gospel. This is an important reminder for us, too, that we must be witnesses for Christ. We’re not all called to travel the globe to be itinerant preachers, but we must be ready to heed God’s calling even when it sends us into strange and dangerous places… even if leads to our death in this life. Finally, St. Bartholomew was a man of good character, befitting of a leader in the Church. 1 Peter 5 has a wonderful section describing what godly leadership in the Church should look like. As Peter describes, Bartholomew also was quite selfless in his ministry – traveling all over the known world. And furthermore, he definitely “suffered a while” before Christ called him to his eternal glory. As v5 exhorts us, we would do well to humble ourselves before the example of St. Bartholomew, as well as the leaders whom God has given us in our own day. This entry was posted in Devotional and tagged history, ministry, sermon. Bookmark the permalink.